MIHO Catering Co. & Barçon Cocktail Co. But you guys!!! I'm so excited to talk about this day we had with our caterers, A MIHO Experience, because (no offense to anything/anyone else) this was the best day of wedding planning so far! We ate and drank really really good food and beverages like it was our job, cause it was (only for a few hours)! And as I mentioned before, it was just Taylor and me. If you think about most weddings you attend (or your own if you're married), most brides and grooms are too busy, too distracted, too excited, or another big emotion to really sit and enjoy the moment of "the taste". They may have a few moments to eat a few bites here and there, but it's been a long while since I've seen a bride and groom just chillin and savoring every bite and every sip on their wedding day. I don't think this is why caterers do tastings— I mean, obviously you have to choose your menu! But as Taylor and I were sitting at the table at our tasting I realized this was our moment to just savor that taste and that experience together. As for A MIHO Experience, it truly was an experience. 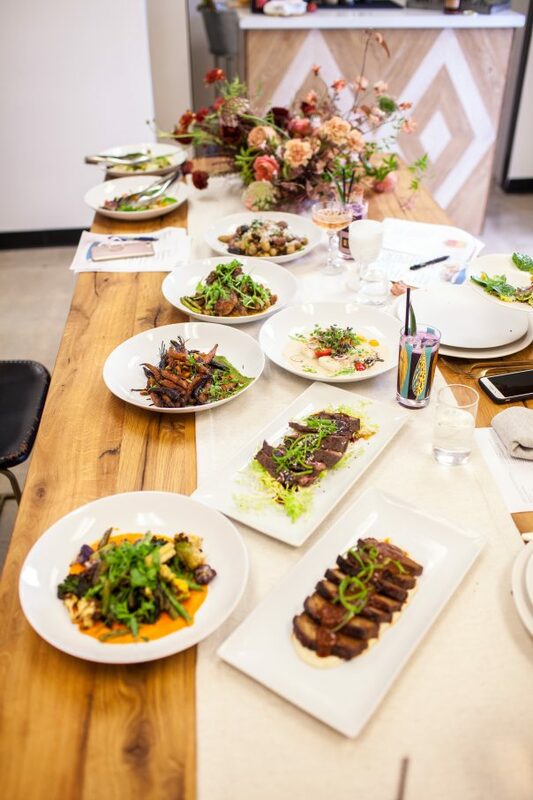 Our experience began when we walked into a room that was set up with a bar and a table with a tablescape that had similarities to the inspiration our wedding designers, Amorology had come up with for our wedding day. The table was set for two with our tasting menus to the side, and dressed up with the best of the best in eye candy for our table with pieces from The Hostess Haven, as well beautiful flower arrangements placed at each end. At the Bar, we met Eric of Barçon! 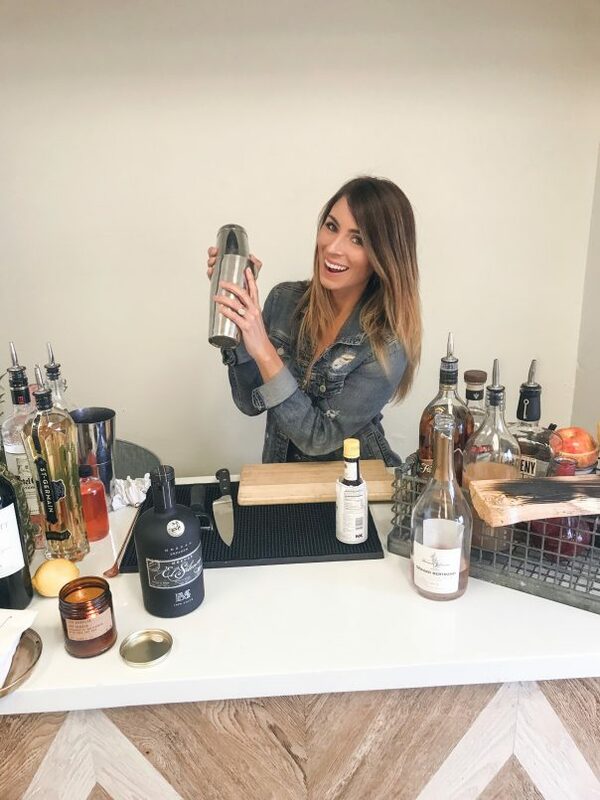 Barçon is a full service bar catering company that specializes in hand crafted cocktails, and carries artisan wines, and craft beer! Eric is a bar genius with his knowledge, creativity, and experience. As we walked in he greeted us with one of the cocktails I had requested to try… oh yeah, have I mentioned we were tasting our bar menu too?!  I don't want to give too much away, but I will share that this first drink was definitely all me, and it's called, "Best to Impress!" I personally think it is going to be an excellent and refreshing way for us to welcome our guests! Hands down the best part of this day was that I got to pretty much eat EVERYTHING. The amazing team at Miho (shoutout to sweet Sam & Jessica) were extremely knowledgeable and accommodating to help make everything gluten free that could be so that I could partake too. I was in a Gluten Free Foodie heaven. And P.S. places that are willing to accommodate get HUGE brownie points in my book and I will easily tell the world about them. Honestly, it's not that hard, especially when eating real food! REAL FOOD - Hand Made Cuisine, with a farm-to-table food philosophy! I honestly don't know how we reached our decision, it was near impossible with so many phenomenal choices, It just makes us that more excited for the wedding day, and we can't wait for our wedding guests to enjoy it with us as we sit together on our wedding day celebrating our union! Food and Drink are something that is important to the two of us. 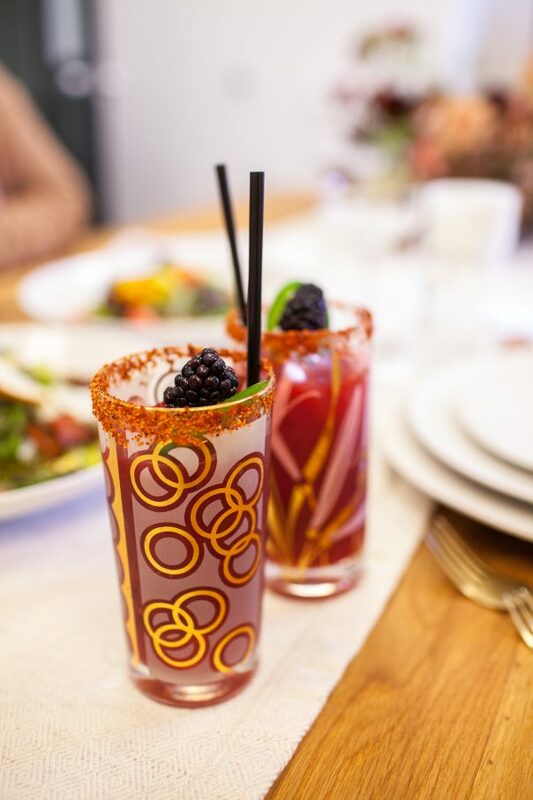 We love to cook together, explore new recipes, dine out in new places and enjoy new experiences, and we love gathering with friends and family for a refreshing beverage. In fact, Taylor's family gathers every Tuesday for what they call "Wine Night"- it's a very special evening, and out of the two years of dating Taylor, I think I only missed about 5 wine nights total. We hope that our wedding will be like an extension of our wine nights as we gather with his family, my family, and some of our closest friends in this very intimate evening to come! For more about A MIHO Experience click HERE! (This will lead you to Barçon as well!) They will surely make your wedding day or special event the best from the food, the presentation, the team, and the drinks! And just in case an Angel reads this… we would definitely not be against some leftovers being boxed up and sent with us in the car when we leave the wedding… haha. It's That good! P.S. Notice mostly me in the photos?— Taylor was our photographer of the day, but that's his preference to be behind the camera. He'll join me in photos because that's an act of love, but he prefers to be my teammate in helping collect the photos. Also, if you just started following our Wedding Planning Journey you can find our Engagement Story HERE and the beginning of our Wedding Planning Series where we talk about our Dream Team, the date, and where we're getting married HERE! Share with us how you did your food for your wedding! No food? Buffet? Food Truck? Family Style? I've even heard of Wedding Brunches for the day of, share with us your unique or traditional choice in celebrating by sharing in the comments! Everything sounds amazing! What a very special day with wonderful memories you’ll cherish forever! Hello! Congrats!! What day r u getting married? !